Superchips Ltd, the global leader in ECU remapping, is pleased to announce that an upgrade is now available for the latest 163 PS version of the rugged and popular Isuzu D-Max 2.5, which uses a twin turbo common rail diesel engine. Frequently used for load carrying and towing, these vehicles benefit greatly from the performance upgrade offered by the new Superchips remap, which adds a healthy 22 bhp at 3454 rpm. More importantly, the Superchips conversion extracts an extra 89 Nm of torque at a mere 2153 rpm, highlighting the additional low speed pulling power released by the remap. Superchips’ expertise with remapping turbo diesel vehicles means that if the converted Isuzu is driven in a ‘like for like’ manner against the standard version then owners should realise fuel economy improvements of up to 7%, a worthwhile saving at the pumps for higher mileage drivers. Suitable for all March 2012 onwards 163 PS D-Max 2.5 models, the Superchips ECU remap is installed into the Isuzu’s TRANSTRON engine management using the vSpire system at one of the firm’s 80 UK dealers, a process which takes about one hour. Priced at £365.00 including installation and VAT, the conversion is also covered by Superchips’ industry-leading 12-month/30,000-mile warranty*. 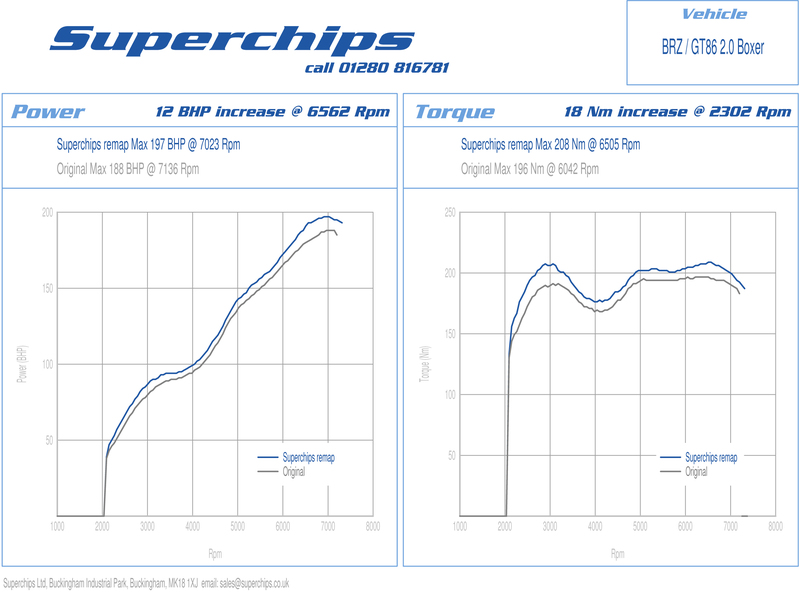 Superchips’ Vauxhall GTC VXR 2.0T ECU remaps are go! Superchips Ltd, the world’s leading high performance ECU remapping specialist, can now make the rapid 280 PS Vauxhall Astra GTC VXR even hotter in a matter of minutes using the firm’s market-leading Bluefin handset. 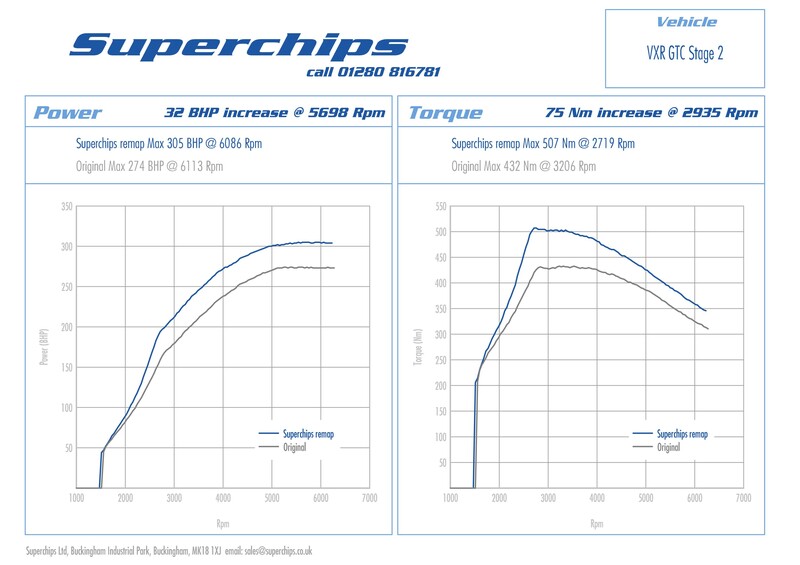 Following an extensive assessment of the Astra’s Delco engine management system, Superchips’ technicians identified potential for performance enhancements within the VXR’s 1998 cc, direct-injection turbocharged motor. A combination of in-house dyno work and real-world road testing has resulted in a ‘Stage 1’ ECU remap that delivers impressive punch, adding 23 bhp at 5093 rpm, plus an extra 61 Nm of torque while retaining all GM factory failsafes. On the road this translates into an even sharper, even more exciting drive, with a crisper throttle response allied to greater urgency across the rev range, making the Astra GTC VXR feel even more willing than before, potentially allowing the hot Vauxhall to better its already impressive 5.8 second 0-60 mph dash time. And it’s easy to realise the benefits of a Superchips ECU remap on the Astra GTC VXR, courtesy of the Bluefin ‘Plug-In and Go’ DIY programming handset, which allows customers to transform their car’s performance in a matter of minutes. No technical skills are required and the original factory ECU remap is stored on the Bluefin handset, enabling Astra GTC VXR owners to revert to standard settings at any time, should they so wish. Clients opting for the vSpire dealer visit installation can benefit from a reduced price of £365.00 including VAT during the period of Superchips’ promotional offer. Owners of Range Rover Evoque ED4 150 PS models can now enjoying sensational performance gains courtesy of the latest new release from Superchips. The fruits of an extensive in-house assessment, development and validation program designed to reliably extract additional power, torque and tractability from the Evoque’s 2179 cc turbo-diesel engine, Superchips’ technicians have produced an ECU remap which delivers outstanding levels of performance whilst retaining the Range Rover factory powertrain failsafes to ensure peace of mind. Validation testing on Superchips’ chassis dynomometer confirms a sensational 48 bhp gain at 3640 rpm, allied to an additional 89 Nm of torque at 3530 rpm. In combination these increases transform the driving experience of the road-orientated Evoque ED4 150 PS model, sharpening throttle response, enhancing overtaking and fast road capabilities as well as improving the car’s towing and low-speed performance. Impressively the quality of Superchips’ work is reflected in the fuel economy figures on the Range Rover Evoque ED4 150 PS – post conversion, mixed road testing has confirmed that average consumption is reduced by up to 7%. The ECU remap for June 2011 onwards Range Rover Evoque ED4 150PS models is now available to be self installed in minutes using Superchips’ renowned Bluefin ‘Plug-In and Go’ device, which requires no technical knowledge and retains the car’s standard settings.